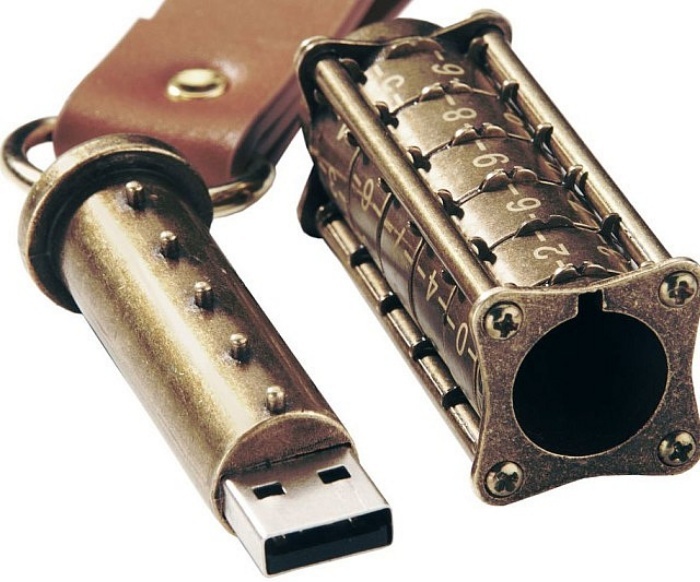 You can encrypt the data on your USB– or you can protect your files the old-school way by using a combination lock. The concept isn’t exactly new (see this Combination Lock made specifically for flash drives released a few years back.) However, Cryptex is different in the sense that the USB drive itself is what’s protected by your code. Cryptex is a special container which has mechanical combination lock (rotating rings with letters or digits), which people used hundreds years ago to keep secrets. Inside the cylinder there’s a container, where you can keep piece of paper with secret data. The post As Secure As Data Gets: Cryptex Combination Lock USB Drive appeared first on OhGizmo!.